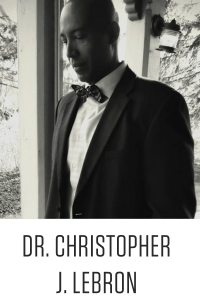 Dr. Christopher Lebron is Associate Professor of Philosophy at Johns Hopkins University. He received his Ph.D. from Massachusetts Institute of Technology in the fields of Social Theory and Political Philosophy. His work currently focuses on political philosophy, social theory, the philosophy of race, and democratic ethics. His first book, The Color of Our Shame: Race and Justice In Our Time, published in 2013 by Oxford University Press, won the American Political Science Association Foundations of Political Theory First Book Prize. His next book, The Making of Black Lives Matter: A Brief History of An Idea, will be published in October 2018, also by Oxford UP, and presents an intellectual history of the Black Lives Matter movement, tracing its origins and connecting it to the long tradition of the struggle for freedom and equal rights for African Americans that includes such figures as Frederick Douglass, Ida B. Wells, Langston Hughes, Zora Neal Hurston, James Baldwin, and Martin Luther King Jr. Professor Lebron writes articles and book reviews regularly for such publications as The New York Times, the Boston Review, and The Chronicle of Higher Education.